Ukraine police is all set to go green. Ukraine’s Minister of Internal Affairs, Arsen Avakov has tweeted that the Ukraine police will receive 651 Mitsubishi Outlander PHEVs. The Outlander PHEV is already very popular in Europe. Interestingly, it is the first plug in hybrid SUV across the world. Mitsubishi Outlander PHEV was first showcased at 2015 Paris Motor Show as a concept. The car bears the silhouette of the regular Outlander. But the front fascia of the car takes design cue from the Mitsubishi Outlander PHEV Concept-S. It features sharp and sleek headlamps, LED daytime running lights, chrome garnished dual slatted front grille. The beefy bumper sports plenty of chrome embellishment. The fog lamps come as LED units, unlike the round units in regular model. 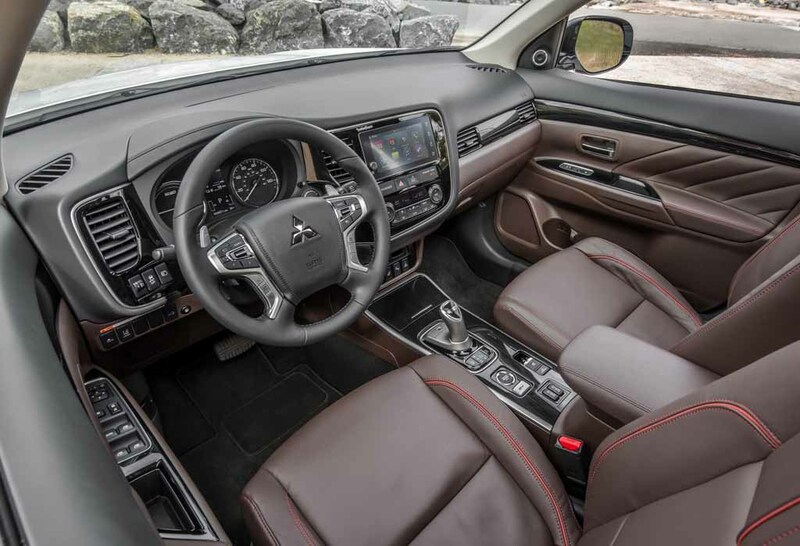 The interior of the Mitsubishi Outlander PHEV is very much identical to the regular model. But the cars of the Natsopolitsiya (Ukraine Police) will surely come with some added equipments. The most interesting part is the powertrain. The car gets power from a 2.0 litre petrol engine. The internal combustion engine is combined with two electric motors. It can run in three different modes; EV, Series Hybrid and Parallel Hybrid. The electric power source is a 12 kWh lithium ion battery pack. The Outlander PHEV can run up to 60.8 kmph in all electric mode. The electric motors are fitted separately on the front and rear axles. This configuration allows the car on a powerful All Wheel Drive (AWD) system. The S-AWC system has been inspired by the Lancer Evolution. 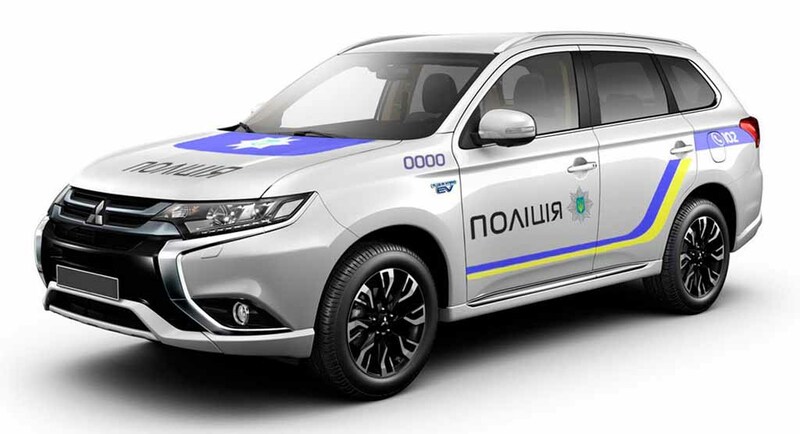 The Mitsubishi Outlander PHEV fleet will replace the dated Russian made VAV and UAZ police vehicles in Ukraine. 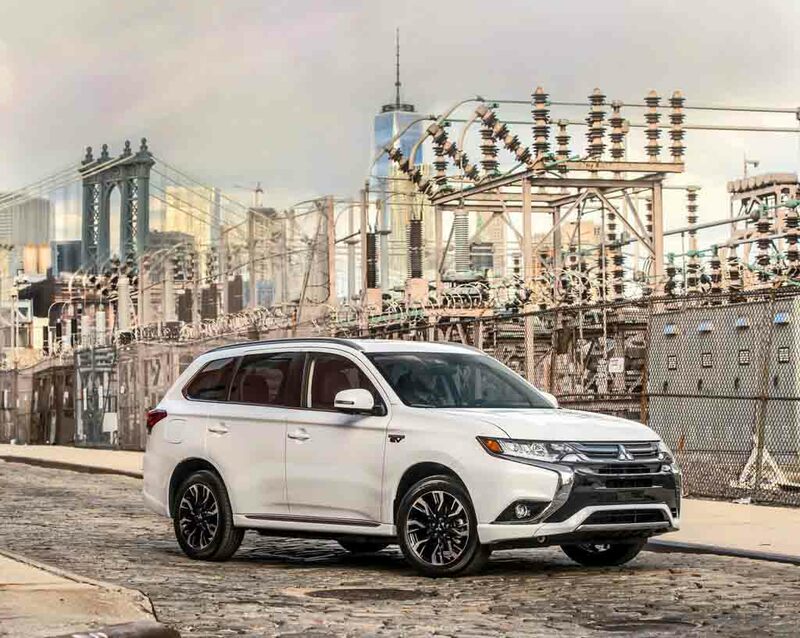 These Mitsubishi Outlander PHEVs are not only environment friendly. These cars are also very powerful than the VAVs and UAZs. Interestingly, green cars are becoming more and more popular among the police forces around the world. 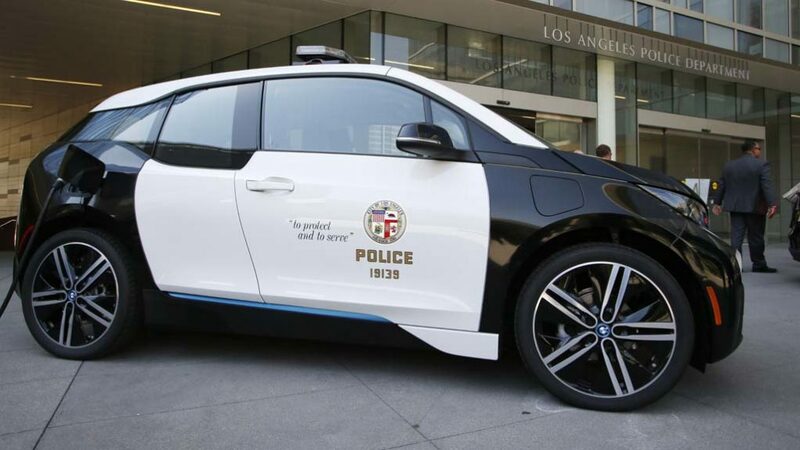 Earlier in June 2016, LAPD ordered 100 BMW i3s for its non emergency fleet.